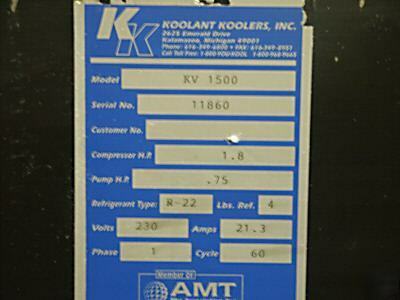 Koolant koolers KV1500 1.8HPCOMPRESSOR - 0.75HP pump. 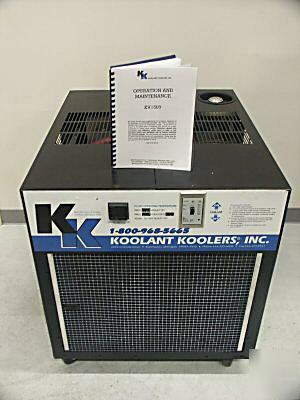 Subject: Koolant koolers KV1500 1.8HPCOMPRESSOR - 0.75HP pump. 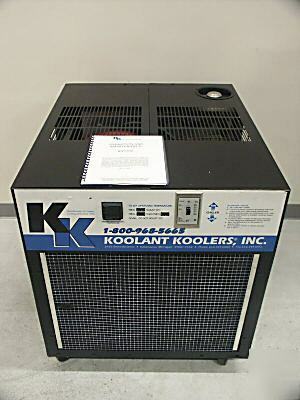 Koolant Koolers KV1500 Industrial Chillers 1.8 HP Compressor - 0.75 HP Pump. "NEW" - Tested Good With Guarantee. * 65°F (factory set) Fluid Operating Temperature. * Punp Pressure Set @ 25 to 35 psig. * Punp Flow @ 35psi - 9 to 11 gpm. * Reservoir Capacity 10 Gallons. 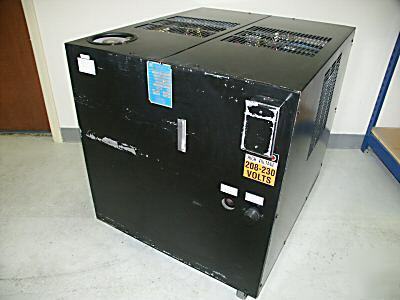 * Super Heat in Evaporator - 14 to 22 psig. * Low Pressure Switch Setting - in @ 50 psig, out @ 25 psig. * High Pressure Switch Setting - Out @ 410 psig, Manual Reset. 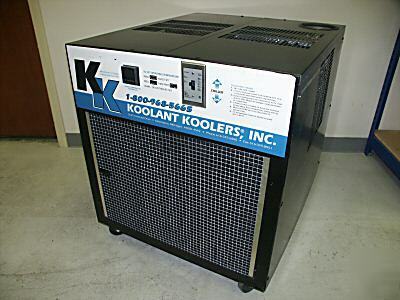 * Compressor ON/OFF - +/-2° of chiller set point. 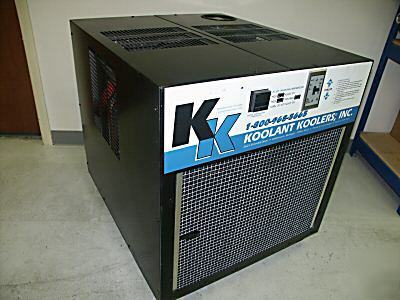 All Items sell with 5 days right of return, and 15 days GUARANTEE on all parts and labor. If you need to make use of the 15 days Guarantee - We will fix, or replace, your unit. In case every attempt to fix or replace it fails, we’ll refund your money.